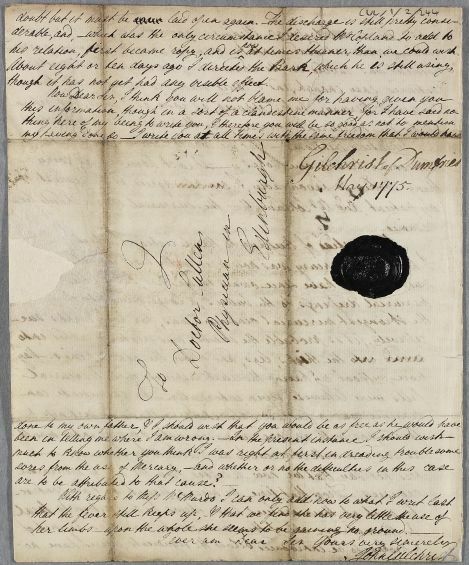 Letter from John Gilchrist regarding Mr Spalding [Gordon] who has not followed Gilchrist's directions regarding mercury. 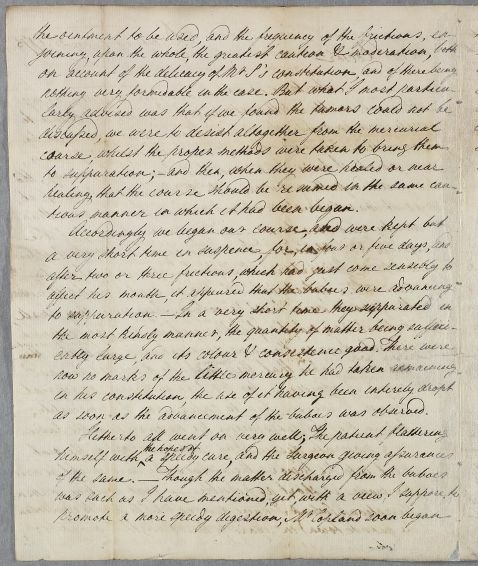 Gilchrist ends with a request for Cullen to not mention his letter to the patient, and asks for Cullen's opinion on his actions: 'I write you at all times with the same freedom that I would have done to my own father, & I should wish that you would be as free as he would have been in telling me where I am wrong'. Also brief note concerning Miss McMurdo. 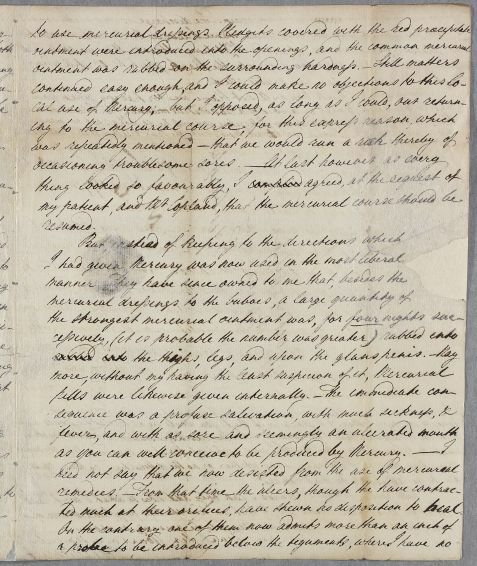 Summary Letter from John Gilchrist regarding Mr Spalding [Gordon] who has not followed Gilchrist's directions regarding mercury. 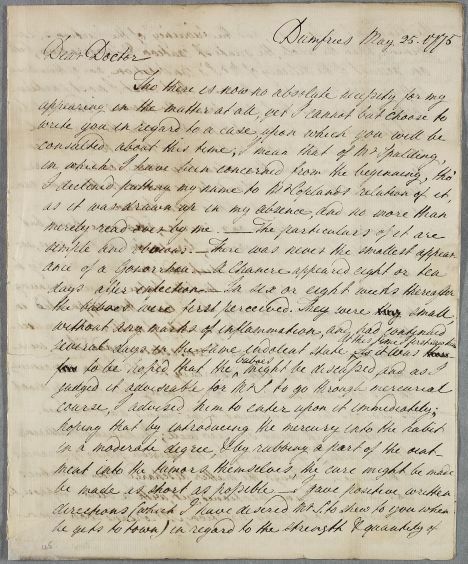 Gilchrist ends with a request for Cullen to not mention his letter to the patient, and asks for Cullen's opinion on his actions: 'I write you at all times with the same freedom that I would have done to my own father, & I should wish that you would be as free as he would have been in telling me where I am wrong'. Also brief note concerning Miss McMurdo. tious manner in which it had been begun. as soon as the advancement of the buboes was observed. ted much at their orifices, have shewn no disposition to heal. his relation, first became ropy, and is ↑now↑ at times thinner than we could wish. though it has not yet had any visible effect.